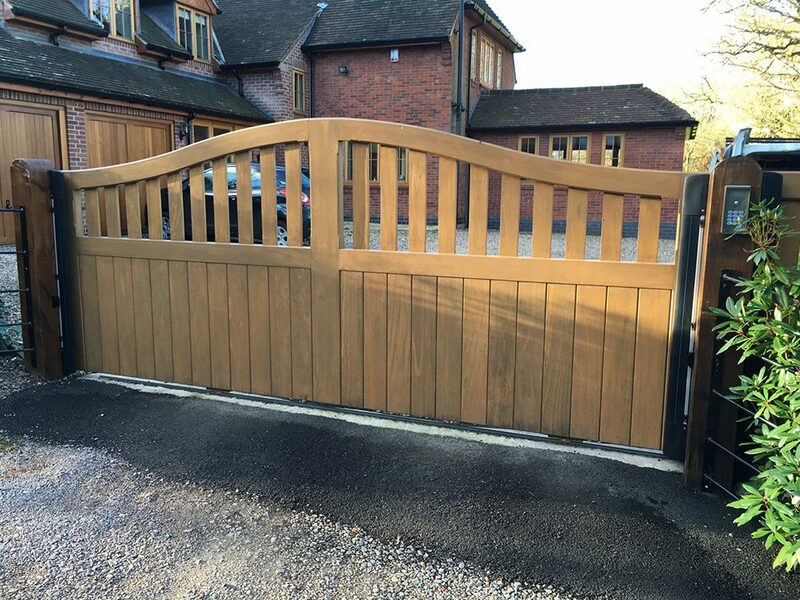 All our wooden gates are manufactured to the highest specifications by craftsmen using traditional bracing with mortice and tenon joints to ensure years of good service. 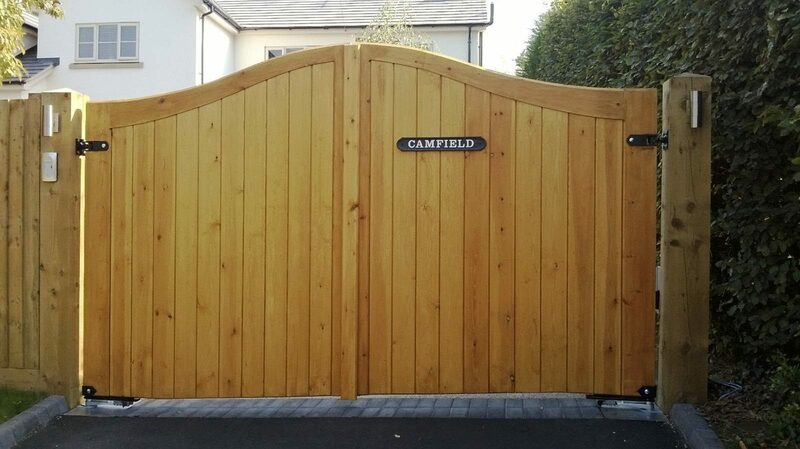 Every gate is bespoke to your specifications from exact size to suit your posts or piers, to the type of wood desired. 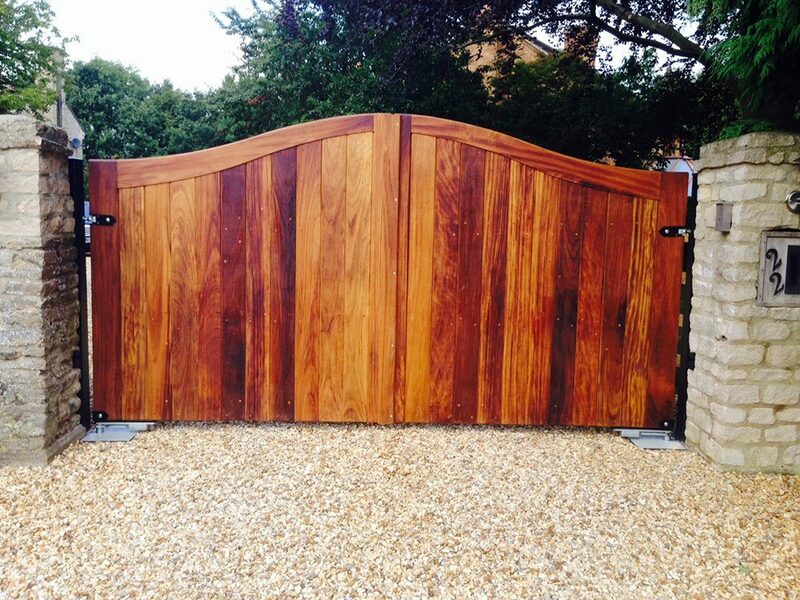 We are able to supply our gates untreated or finished with a stain or paint of the customers’ choice. Choose from high quality Scandinavian Redwood pine or from a range of hardwoods including Oak, Meranti and Iroko. 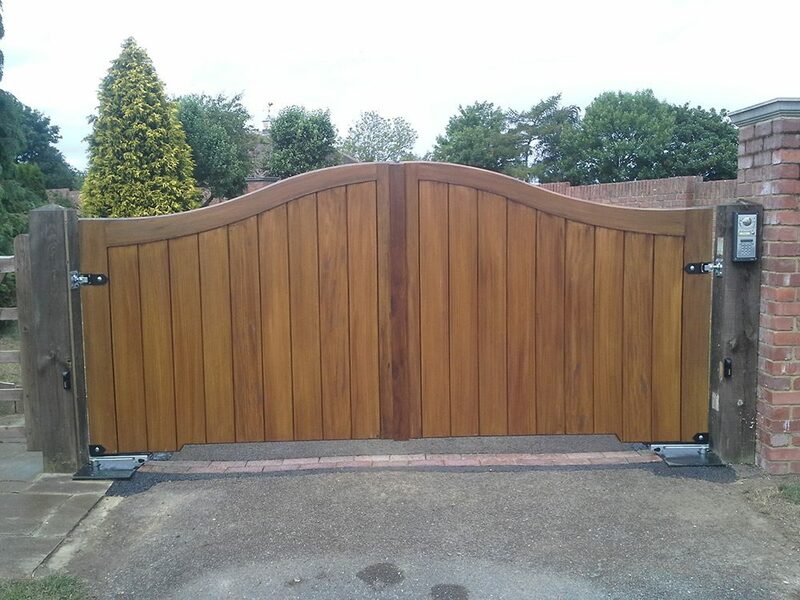 Our standard frames are Ex 3 inches thick (Ex 75mm) leaving a finished size of approximately 70mm after planning giving a strong and robust frame of the highest quality ideal automatic swing or sliding gates. If you live in or around Leicester, Loughborough, Market Harborough or anywhere throughout the Midlands then contact us today either by phoning us directly or by sending us your enquiry via our contact page.